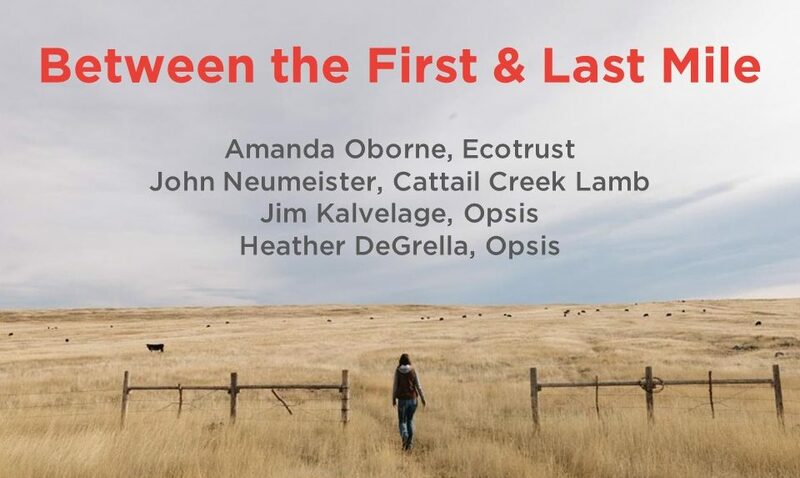 Opsis Architecture, in partnership with Ecotrust and Cattail Creek Lamb, recently presented at the 2017 Living Future unConference. Their presentation, “Between the First & Last Mile: Challenges & Opportunities Facing Oregon’s Regional Food System,” examined the infrastructure and amenities necessary to establish a working hub for the regional food economy. Utilizing the Redd on Salmon Street as an example, Opsis Partner Jim Kalvelage and Sustainability Design Leader Heather DeGrella teamed with Amanda Oborne, Vice President of Food & Farms at Ecotrust and John Neumeister, Owner of Cattail Creek Farm, to demonstrate the viability of a working urban ecosystem for the local food economy. John Neumeister, Owner of Cattail Creek Lamb, guides conference attendees through an interactive activity. regional food economy. An initiative of Ecotrust in Portland, Oregon, the Redd is located in the heart of Portland’s historic Central Eastside and is designed to support local food enterprises, connect chefs, foodservice directors and entrepreneurs to independent farmers, ranchers and fishers in the region, and help scale a robust, regional food economy across the Pacific Northwest. Opsis Architecture was engaged by Ecotrust to provide design services to renovate and restore the Redd, an existing 16,000 sf foundry into a 24,000 sf building. The project was recognized by SXSW Eco as the 2015 Place by Design for Resilience. 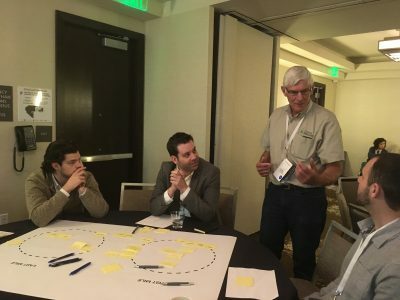 The eleventh annual Living Future unConference, (May 16 – 19, Seattle, Washington), is a forum for leading minds in the green building movement seeking solutions to the most daunting global issues of our time.